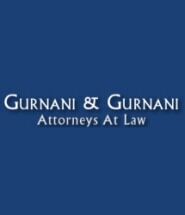 The immigration law firm of Gurnani & Gurnani is recognized by IT and business employers throughout southeastern New Jersey for providing effective immigration law services. We are one of the few law firms in New Jersey that concentrates exclusively in the area of successful employment and family visa immigration law. With our legal experience and advanced education in engineering, public accounting, and business, the lawyers of Gurnani & Gurnani have been able to relate to the needs of business managers and executives in uncommonly successful ways. We are committed to our founding philosophy that diligent work and integrity will help our clients succeed where other immigration law firms often fail. We work directly and closely with our clients in a wide range of professional and industrial fields. Our attorneys combine more than thirty years of immigration law experience to employ unique strategies that overcome the obstacles that often frustrate employers who are relying on foreign talent for their business success. We work hard seeking to achieve the visa or immigration results you are counting on. We understand how important it is to move quickly to resolve immigration and visa issues for our clients. Whenever possible, we use Internet technology to expedite the forms and application process. In the future, this site will include online application forms and processes that will save you additional time and expense. We invite you to learn more about our immigration law experience and our approach to helping you meet your legal employment and certification needs. Contact us at 732-494-8900.